Great Britain U20s begin their Under-20s World Championship Division II Group A campaign this evening as they face Lithuania U20s in Tallinn. 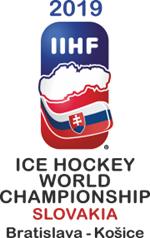 GB will also face hosts Estonia, as well as Korea, Romania and Spain, in the six-team group at the Tondiraba Ice Hall. Lithuania were relegated from Division I Group B last season, while GB won the bronze medal in Division II Group A on home ice in Dumfries. Britain go into the tournament on the back of victories over Korea (8-1) and Spain (6-3) in challenge matches this week. U20s head coach, Slava Koulikov, said: “We have had an excellent few days of preparations and everyone is very focused. “The two warm-up games were not just about getting the results, but trying tactics and line combinations and the coaching staff took a lot from the games. “We’ve also had some excellent training sessions and we are well prepared for the week ahead. All of GB U20s’ World Championship games will be shown on free-to-air television in the UK on FreeSports.